Have your heard of Estilo Gaúcho? 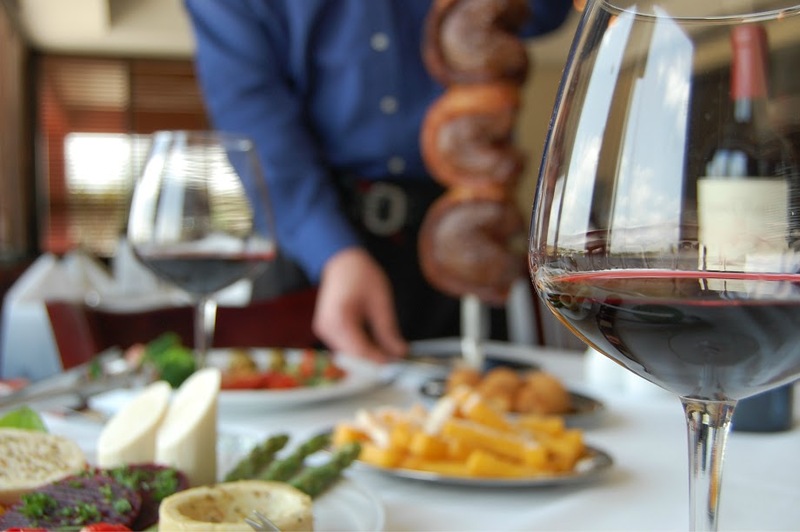 This Brazilian Steakhouse opened in May of 2013 in Stonebriar Centre across from the Stonebriar mall and has been serving up fine foods in Frisco. They recently invited me to check out their ambience, food, and service this past week, and my experience was nothing less than filling and satisfying. Make your way to the salad bar in the middle of the restaurant. There is another server there to help assist you with your plate and explain the layout of food in front of you. At your table, you are given a small, double sided card. One side is green and when flipped to this side, servers will brings various cuts of meat to your table to choose from and add to your plate. The other side is red and means please don&apos;t offer me more meat right now. So how was everything? Seriously delicious. I&apos;m not kidding. I have never been so full in my entire life, simply because it was so very good I didn&apos;t want to stop eating (and this is taking into account all Thanksgiving dinners I have ever had). For starters, I hit up the salad bar and loaded it up with various sides such as asparagus, fresh tomato mozzarella salad, and a pesto bow tie pasta salad. Other choices at the salad bar included various assorted green salads, garden fresh vegetables, imported cheeses, cured meats, unique condiments and dressings. Our waiter then brought us some fried polenta, cheese bread, friend bananas, creamy mashed potatoes, and various garnishes and sauces. Our table was loaded with all the perfect compliments to the main dish. Meat. Not just any any meat, but 16 prime cuts of meat to choose from including their famous traditional picanha, varieties of beef, chicken, pork, sausage and lamb. We flipped our cards to green and immediately there was a line at our table with servers presenting their cuts of meat for us to review and select. 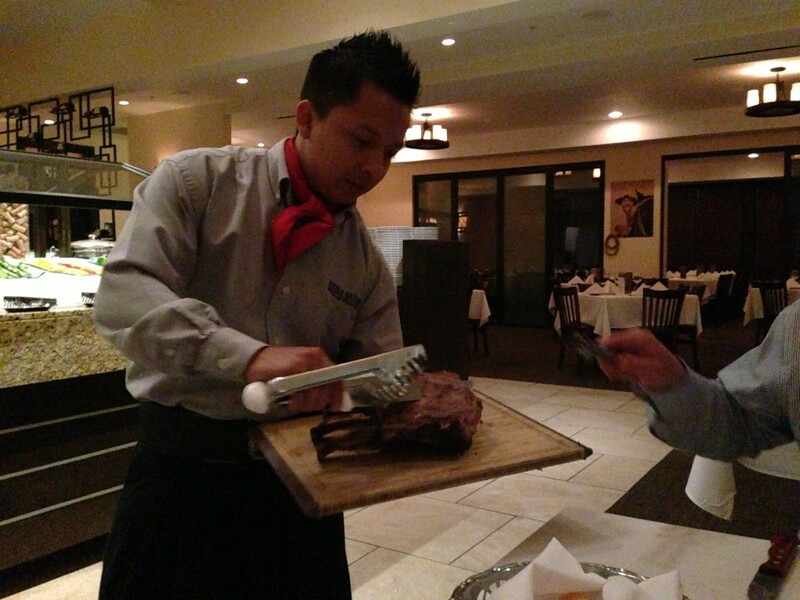 Whether your taste is medium well or rare, your meat was sliced to order right there at your table. There was not one meat that disappointed. For me, the beef ribs were my favorite followed by the filet mignon. Last but not least, were the desserts. By this point my stomach was screaming for mercy since it was so full! But there wasn&apos;t a chance I was leaving without dessert. Choices included, homemade flan, roasted pineapple, chocolate mousse cake, key lime pie, vanilla cheesecake supreme, papaya cream, and creme brulee. We selected the creme brulee and the papaya cream and they were nothing but the perfect dishes to finish off that evening&apos;s feast! The thing that left the biggest impression on me throughout the dinner was the truly kind and impeccable service. Our chairs were always pulled out for us every time throughout the entire night. Our water glasses were never empty. When we were ready for meat, there was a line of servers ready to offer their dish. If there was a side or beverage that was running low, it was immediately replaced. Every single server was committed to making sure every single patron in the restaurant was taken care of, attended to, and in need of nothing throughout every moment of their meal. I can&apos;t actually remember another service leaving me with such a positive impression in quite some time. 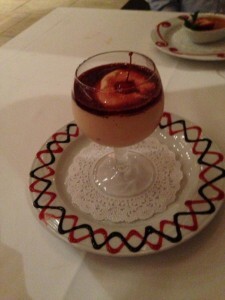 I encourage all of Frisco to check out Estilo Gaúcho and share your personal experience here on I Heart Frisco. Contact me and let me know what your favorite cut of meat was!